Whitworth Athletics Director Scott McQuilkin has been asked to put his extensive campus and community leadership experience to work in a new role as the university's acting vice president for institutional advancement. President Bill Robinson, who announced Tuesday that he plans to step down at the end of the 2009-10 academic year, says McQuilkin can provide immediate and effective direction to Whitworth's ambitious fundraising agenda in the coming year and through the presidential transition. "It is imperative that this academic year be one in which we attract significant support for capital projects, particularly the new biology-chemistry building; Scott's institutional knowledge, intelligence, drive and communication gifts will be ideal in leading this effort," Robinson says. "He has inspired confidence from our trustees and major donors. He loves and knows Whitworth, its mission and its people. He's the best person to move into this position." McQuilkin, who will begin his new role on Oct. 5, will oversee all facets of fundraising; donor records, stewardship and events; alumni, parent and church relations; and marketing and communications. The appointment is for two years, but Robinson says McQuilkin "will function as if the position is permanent; there will be nothing tentative in the way he goes about his work." McQuilkin will have the option to return to his current role at the end of the two-year term and will make that determination in consultation with Whitworth's new president. "In moving to institutional advancement, I am leaving the best staff in athletics that anyone could ever wish to work with and for," McQuilkin says. "My desire is to contribute to Whitworth in a new way. I am joining a wonderful team that has done great work. In the coming years we have major projects to complete so Whitworth can continue to build upon the educational excellence our students currently enjoy. I am looking forward to sharing that vision with long-time and new friends of the university." 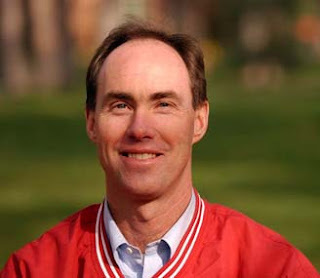 McQuilkin began his career at Whitworth as head baseball coach from 1985 to 1990. During that time, his teams won four consecutive NAIA District 1 regular season championships and made three appearances in the NAIA Western Region playoffs. McQuilkin was named conference coach of the year three times. He has served the university as a professor of kinesiology and physical education since 1993 and director of athletics since 1996. Whitworth has won the McIlroy-Lewis All-Sports Trophy for the best overall athletics program in the competitive Northwest Conference three of the past five years. Since 2000, the Pirates have captured 33 conference championships, sent 80 teams to compete in NCAA Division III championships, and hosted 13 NCAA championship events. McQuilkin expanded Whitworth's athletics program to 20 intercollegiate sports, adding golf, indoor track and field, and softball. He also strengthened fundraising efforts and outreach to supporters, significantly improved facilities, and hired all but one of Whitworth's current roster of respected and award-winning coaches. A tenured professor, McQuilkin has taught in Whitworth's acclaimed worldview studies program and in other courses. He has served on numerous faculty and university committees, was elected by his peers as faculty representative on the last two academic dean searches, and earned the Outstanding Service Award for faculty in 2004. He also has published book reviews and articles in the Journal of Sports History, Christian Scholar's Review, Sport History Review and other journals. He holds bachelor's and master's degrees from Whitworth and a Ph.D. from Pennsylvania State University. In the community, McQuilkin has served on the board of the YMCA of the Inland Northwest, including a term as board chair from 2005-2008; as president of the Spokane-North Rotary Club; as elder and chair of the Personnel Commission at Whitworth Community Presbyterian Church; and as a youth league coach and speaker. "Scott has succeeded at everything he has done at Whitworth and we expect that his work in institutional advancement will be no different," says Vice President for Academic Affairs and Dean of the Faculty Michael Le Roy. "As a coach, professor, and athletics director Scott has combined a commitment to excellence and a warm, good-natured style with people. We have an ambitious fundraising program over the next few years and are confident that Scott is capable of meeting this challenge."